Just like your smartphone, Windows 7 also checks the internet for the correct date and time and keeps your system updated with the correct time. 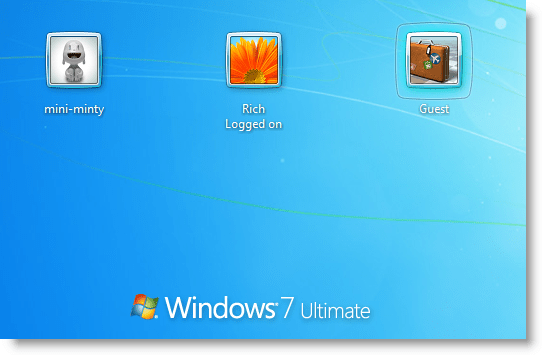 Windows 7 periodically connects to online time servers to check for the correct time and updates yours system’s time accordingly. While this all works great, the only glitch is that Microsoft supplied time servers are overloaded (owing to the fact that millions of users worldwide use Microsoft Windows) and sometimes do not respond. What you can do is that you can set Windows to use some publicly available better time servers that respond quickly and provide the correct time. To change the time servers in Windows 7, you will have to open the Date and Time settings. You can open them by right-clicking on the date and time being shown in the bottom-right corner of your screen and selecting Adjust date/time from the context menu. In the Date and Time settings window, select Internet Time tab and then click on the Change Settings button. If you use your laptop or tablet on battery power, you’ll know how annoying it is to lose battery power at the “worst time”. While I can’t guarantee your PC will lose power at a more convenient time, I can offer 14 ways to improve your battery life. Learn, in this guide, how to save power when running on batteries. Previously, we showed you how to download Windows 7 and Burn it to a disc/put it on a thumb drive. Note: A repair disc cannot be used to install Windows and provides no functionality beyond that of a Windows installation disc. If you already have an installation disc, you can use that for system recovery. If you’re using an SSD, there are a few things you can do to extend its life. One of the things you can do is move the search index cache. The Search Index I/O activity can take a considerable toll on your system drive by keeping it busy. If you have an SSD, this may reduce its life. By moving the index to a separate drive, you can increase overall performance of your PC (more noticeable under load) and preserve the life of your SSD.